Note from Jack: The information and screen shots below have been compiled from the videos recently released by Fluval Aquatics. 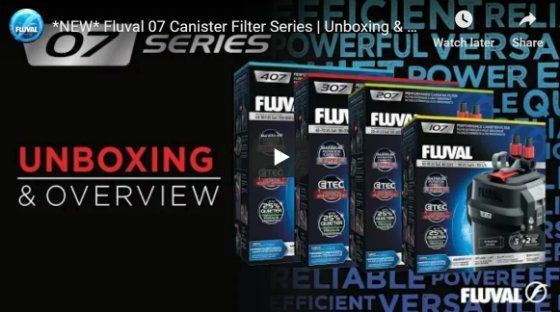 The Fluval 07 Canister Filter Line will launch first in the UK sometime March 2019 followed by a Global Release in spring 2019. Once the filter is available in North America I plan to do a complete review. Today I’m super excited to be sharing this post with you all. 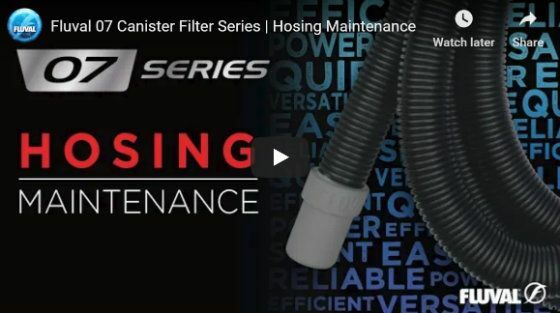 Recently one of my favorite filter manufacturers announced an upgrade to one of their best selling canister filters. The Fluval 06 series is getting a makeover! 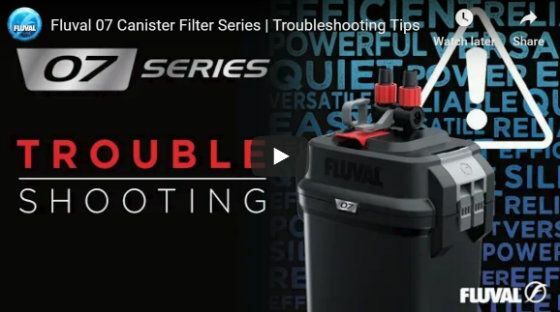 Today we’ll be unboxing and reviewing the Fluval 07 Series canister filter. 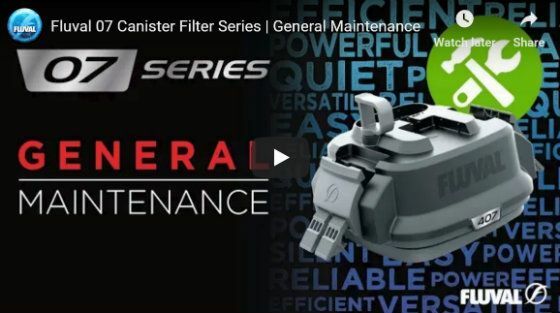 This makes it a seventh generation product with more than forty years of history and noted as the best selling canister filter of all time. 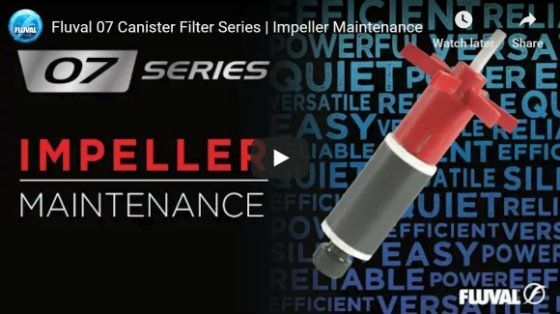 The 07 series offers four models of the canister filter for aquariums ranging from 10 to 100 US gallons or 40 to 500 liters. Here is a breakdown of the models and capacities. 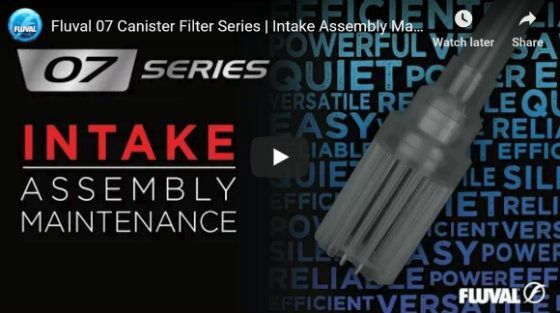 In this post, we’re doing a deep dive unboxing and looking at all the features and benefits of the new Fluval 07 series filter line. 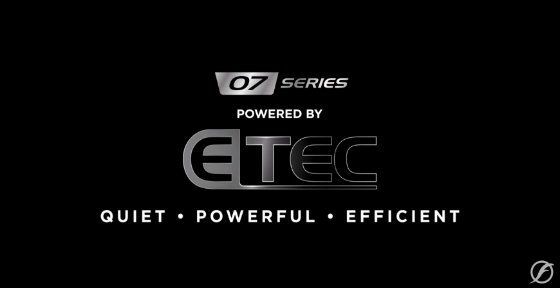 What Is Efficient Technology (ETech)? So what does all that actually mean for you and your fish? The pump has been re-engineered and can now move approx 145-383 US Gal/h which is WAY more powerful than most other canister filters. Additionally, it is more energy efficient and saves you money. 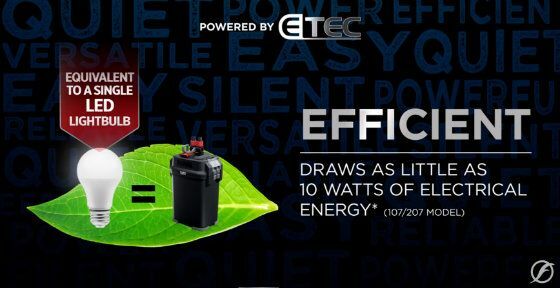 The 107 & 207 models only use 10 Watts of power, which as Fluval notes, is as little as a single LED bulb. Lastly, this thing is ultra quiet, approx 25% quieter than previous generations due to a re-engineered impeller assembly. 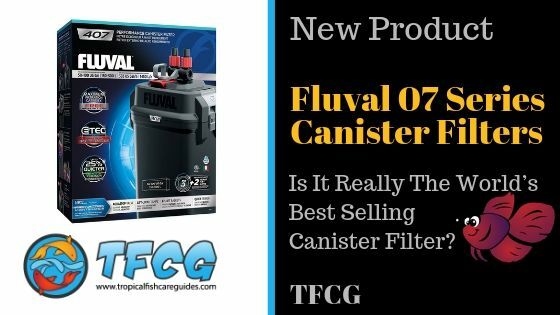 The Fluval 07 Canister has some great new features which we’ll discuss in a bit more detail in one second. But here is the complete list of all the features as noted on the Fluval website. Now let’s go over some of the main features that I like. 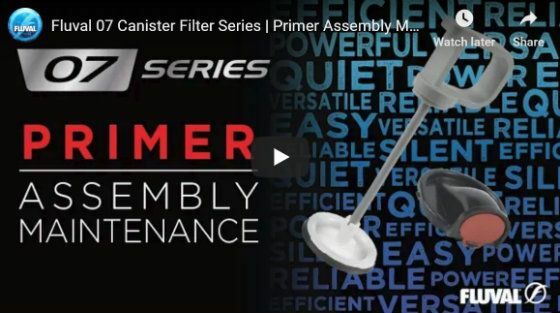 The newly designed priming device is stronger and more durable than previous versions and you only need two fingers to prime it, compared to other canister filters where you need two hands. This makes it MUCH easier to prime when you’re bent over trying to reach the lever within a cabinet under your tank. When comparing the 07 series priming assembly to the old 06 series priming assembly the new one is much more robust, rigid and strong. Actually, according to Fluval, it’s seven times stronger. Lastly, the priming device has been improved allowing for better suction which allows you to start the canister after only 3-4 pumps. When we look at the Aqua Stop Valves and compare the 06 to the 07. The 06 series locking pad was pretty flush with the top edge of the canister. This made it difficult to grip and pull open. The 07 series addressed these issues by extending it beyond the top ridge as well as adding an upward angle so it is much more easy to grip. 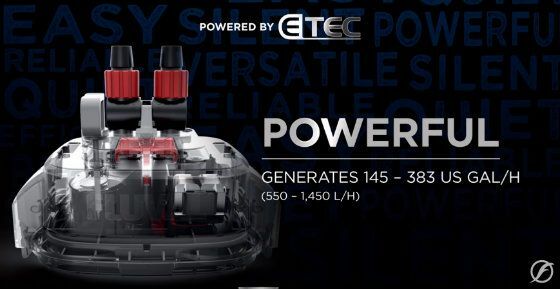 The lock itself is now made of a thicker plastic and has some ribbed material on the top which makes the 07 two times stronger than the 06 series. 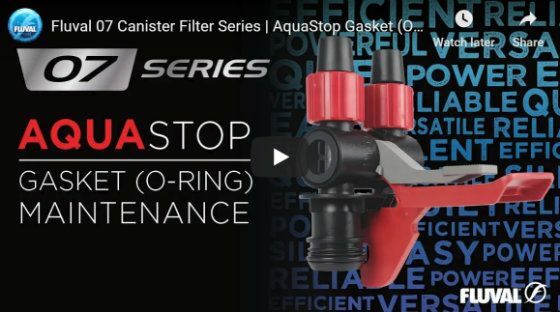 All these new features on the Aqua Stop allows for improved performance and minimal assembly. The new design of the side locking clamps has been fiber reinforced with ribbing at the top for improved ergonomic access to the clamp. The entire mounting assembly has been built with more plastic and rigid design which mean only two big clamps and easy access versus the typical four clamp systems found on a lot of other competitors. Unlock to access the filter then simply lock the clamp in place when you’re done. The new feet stabilizer have been increased in size to allow for better stability and damping of vibrations and unwanted noise. 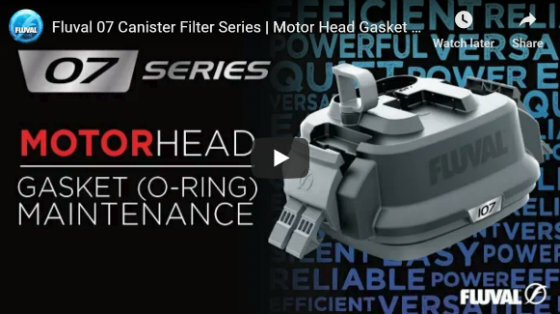 When compared to the 06 series or other canister filters the 07 as you can see are much larger. The 07 series pump has been re-engineered with a diamond polished aluminum ceramic impeller shaft (that’s a mouthful) which helps eliminate tolerance and gap. The pump also has an improved fan blade and a magnetic rotor which is all installed in the factory. 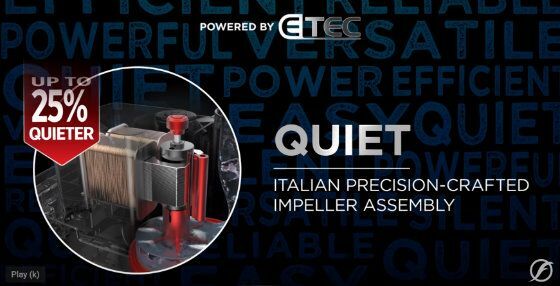 All this basically means is that your impeller gets frictionless rotations which in turn means the pump is almost 25% quieter and will last longer. One unique feature is that the Inside the pre-filtration is actually vertical. Meaning the pads are vertically stacked to help reduce void space within the canister box. The pre-filtration pads include a new Fluval product called Bio-Foam Max which due to its new design of ripple patterns provides up to 30% greater surface area. Next, they have their easy to lift media baskets which can easily be removed without having to remove any of the water from your canister. You can actually lift all the media and baskets out with only ONE finger! Which can also be done with the pre-filter. Being able to take out all the media (with a finger) do your maintenance, then easily put it all back together is a HUGE time saver and keeps things really clean.